We are different. Here you can learn how and why! Wondering what it means to be a Ryno Agent? Ryan uses his background in technology to revolutionize the way real estate is sold in Chico. His real estate team is considered as one of the most progressive and innovative groups in the area. Together with business training, technology background and innovation, Ryan's team is able to provide high quality service to all our customers. Ryan also works closely with investors of multifamily and income property. His background in property management and finance help to put your investment in perspective. Dave is well connected locally, and has the connections to make your sale happen. He has lots of experience with both residential and commerical property sales. From 2000-present he has worked in Real Estate as owner/realtor in commercial/industrial/residential, and land uses. Dave was one of the original investors in the startup of Keller Williams Realty franchise here in Chico. Annette works with new real estate investors and help new investors strategically build their portfolios for buy and hold or flip opportunities. She also specializes in move up buyers and first time home buyers. Broker Associate Daniel Perry McCauley’s clients have a distinct advantage. Serving homebuyers and sellers since 2009, Danny brings his clients the benefit of experience, combined with unmatched skills, knowledge, and a passion for serving their best interests. His diligence in anticipating a client's every need, explaining each step of their transaction, and responding quickly to calls and emails has gained him a reputation for making each buyer or seller feel as if they were his only concern. A skilled negotiator, he enjoys navigating through the intricacies of each transaction. Where some might see problems, he sees opportunities for resolution. This attitude, followed by action, often provides the "glue" that holds transactions together against seemingly impossible odds. Danny attributes part of his success to determination, drive, and that self-imposed responsibility to protect his clients. The rest he attributes to curiosity and a thirst for knowledge. Whether dealing with a first time buyer, a luxury home seller, or anyone in between, Danny respects the fact that their home investment plays a significant role in their financial and emotional lives. To assist them, he relies on his experience, his continual study of changes in the market, and the additional knowledge gained from taking specialized classes that add to his skills and understanding of specific client needs. Danny is pleased to offer the latest in e-friendly services. Not only do his listings get wide exposure, he offers his buyers detailed search capabilities, instant notifications, and immediate information retrieval. When you're looking for a knowledgeable and experienced professional who will give you the guidance and attention you deserve and protect your interests at every turn, look to Daniel Perry McCauley. You'll soon know why so many of his past clients say they'd never choose anyone else. 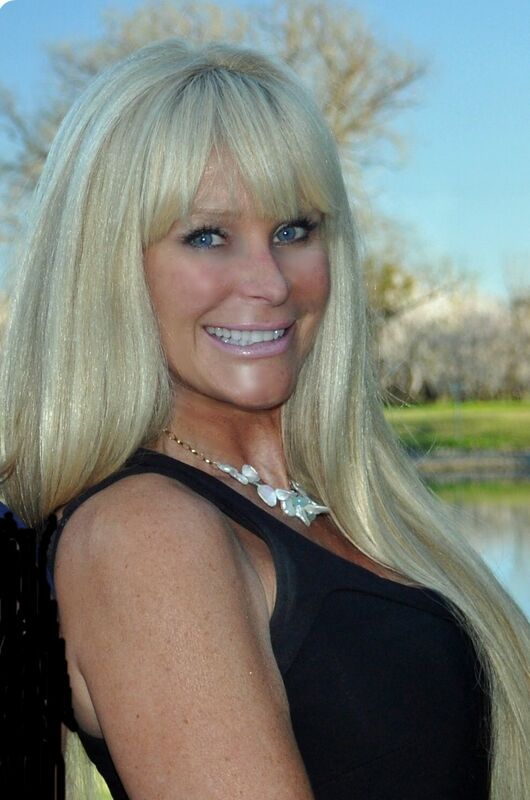 Tracie is a Chico native and comes to real estate after a long career in dental health care. She brings a wealth of experience in client service, an innate integrity and a passion for problem solving. She greatly enjoys working with people and possess a deep work ethic. She finds the complexity of Real Estate to be a compelling challenge. You won't find a stronger advocate. My name is Adrianne Gonzales. Since childhood, I have used the nickname "Adie", pronounced A-D, or "80". Ever since I can remember, I have had to explain how to pronounce my name. When I began my career in real estate, instaed of taking the time to introduce myself as Adrianne, but I go by Adie, I became fondly known in the real estate community as Agent 80, and my new identity was born! Greg's experience is in construction and energy efficiency. He has a degree in construction management, co-founded a residential construction company and is a licensed general contractor. His background qualifies him to provide quick, on the spot renovation estimates and answer any other construction related questions. Additionally he can provide analysis to the performance and return on investment of renewable energy and efficiency upgrades.